Inspired by ancient cultures and modern form, AVILLA is a seasonless collection of artisan jewelry by Michelle Perez. 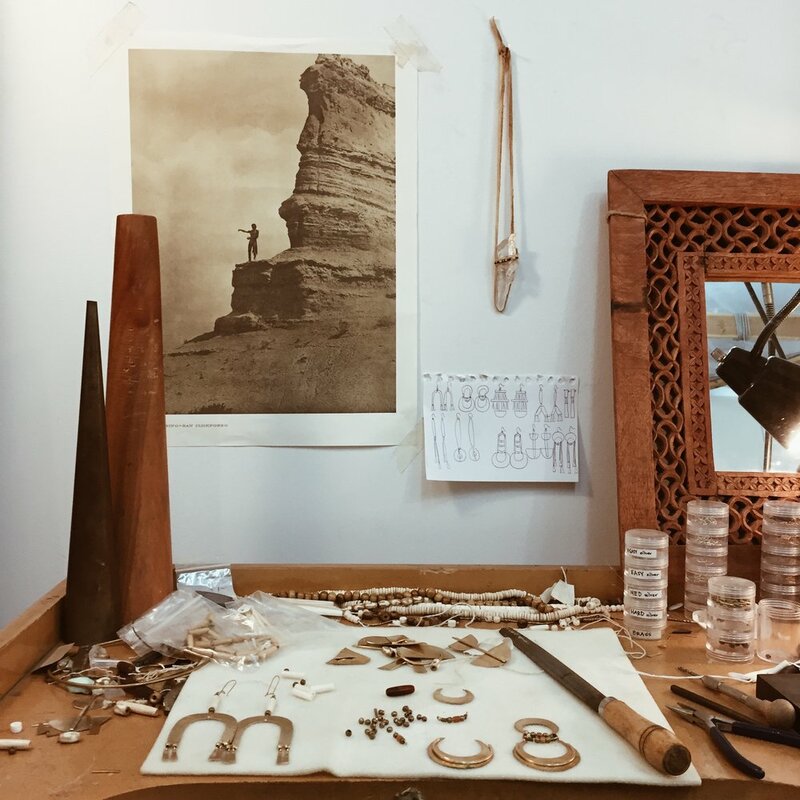 Embodying intention and slow fashion, each piece is made-to-order in her Los Angeles studio, reducing waste and encouraging conscious purchasing. Not only do the ancients inspire Michelle's design, they inspire her production as well. She sees ancient cultures as the ultimate model of sustainability, only using what materials were available to them, working with natural elements, and creating as an act of thoughtful devotion. With this in mind, she constantly looks for new ways to reduce her ecological footprint, promote sustainability, and embody conscious small-scale production. To read tips on creating a sustainable wardrobe, check out AVILLA's latest blog post here.